The 8th Shipston Wool Fair, was held on bank holiday Monday in Shipston, as part of an expanded ‘Wooly Weekend’ which also included the Totally Locally Shipston Arts & Crafts Market and Smooth Weave – An evening of tight-knitted French Jazz, which took place on the Saturday. 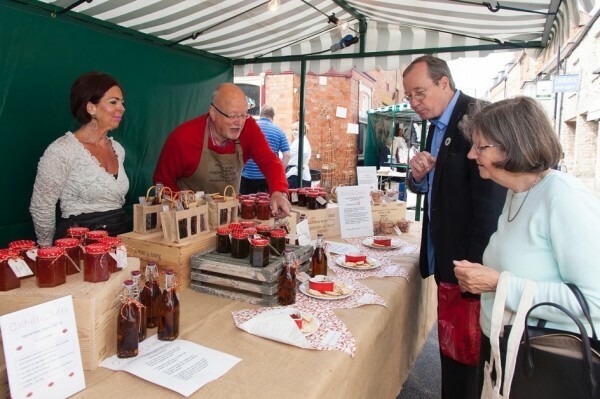 All the events took place in the South Warwickshire town of Shipston-on-Stour, with the Shipston Town Council supporting a range of annual events including also Shipston Proms (in it’s 18th year in 2016) and Shipston Food festival. The weekend was a great success and Mayor Councillor Ronnie Murphy commented “It has been a really successful event and it was great to see both locals and visitors of all ages, enjoying the event with dancing in the square at the end. Thanks as always go to Bob Armstrong, Robin Payne and the rest of the Shipston Rotary team”. The Arts & Crafts Market took place on the Saturday with 20 stalls available to the busy crowds to see the interesting arts and crafts, all from local producers. The range included art paintings, ceramics, chilli preserves, jewellery, soaps with the crowds being entertained with local musicians including Ben Bryan and Hannah Porter. The market was organised by the town’s Totally Locally group, of local shop keepers and online businesses, organised by Louise Harvey and Lucy Kirkham. 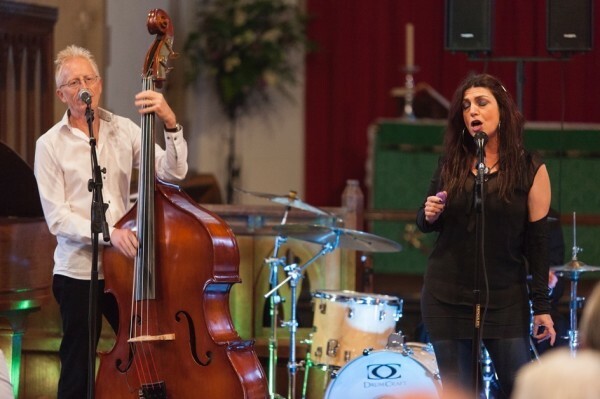 On Saturday evening the Wool Fair organisers, in particular Robin Payne, had put on a concert entitled Smooth Weave – An evening of tight-knitted French jazz, which was hosted by Rev Andrew Coleby and St. Edmund’s church in Shipston. This was in two parts with the first four-piece ensemble Chimera performing Claude Bolling’s Flute Suite No. 1, with Clare Preston on flute, Helen Porter on piano, Anese Beysens on double bass and Robin Payne on drums. This was really well received by the large audience that had turned up for this concert. After a break for refreshments the second half was a performance by jazz group Montparnasse with a range of classic French jazz with Celine Dommart on vocals, Cris Tolley on guitar, Paul Smith on double bass and Robin Payne on Drums. This was also well received by the appreciative audience and all agreed that this was an excellent addition to the Wool Fair weekend program. 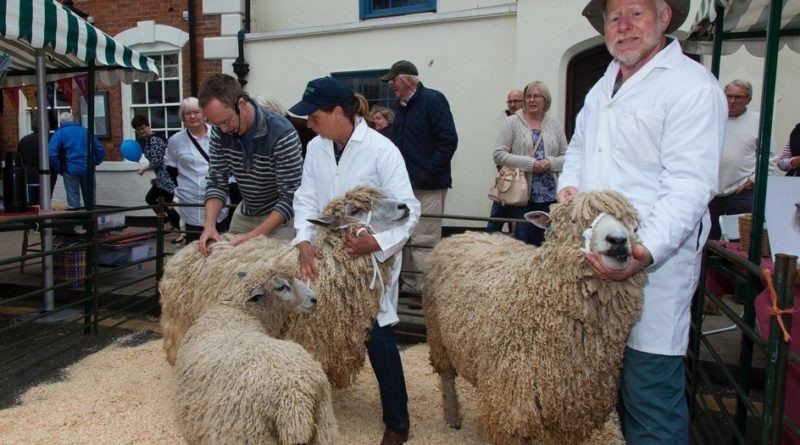 After the Shipston Rotary club ‘Songs of Praise’ concert at St. Edmunds church on the Sunday, the scene was set for the main event – the Wool Fair. The Wool Fair was formally opened by the Duke of Montrose, after words from the Town Mayor Counsellor Ronnie Murphy. The event included a varied program including music on the main stage from among others Shipston Town Band, Ben Bryan, Shipston High School Jazz Band (led by Head of Music David Hunt) and the Porter Family. 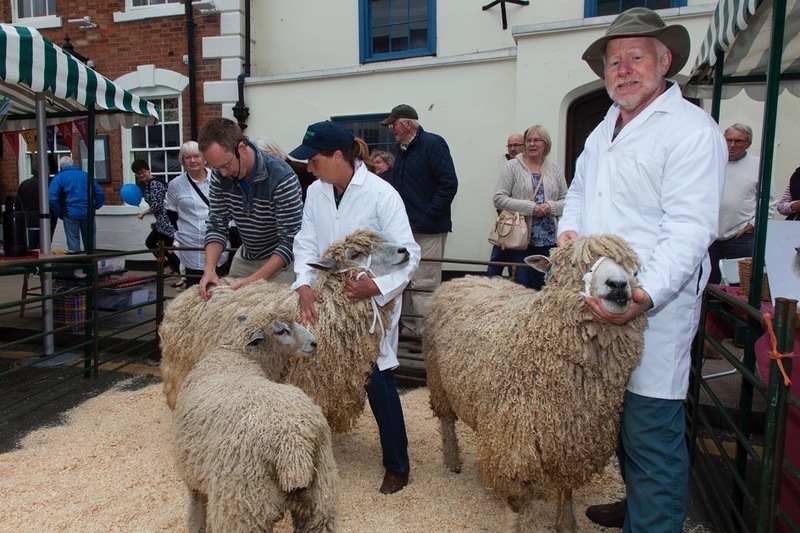 There were Meet the Sheep sessions managed by Ed Noble with various Rare Breed sheep on display including Leicester Longwool, Cotswold, Portland & Wensleydale. Sheep shearers James Scorer and James Tuffen were demonstrating to the crowds how to shear a range of sheep. The Stratford-upon-Avon Guild of spinners, weavers and dyers were on hand with Penny Ingles & Jane Lucas demonstrating how to spin with historic weaving machines. There was a historic hand operated organ entertaining the visitors outside of Katherine hospice, demonstrated by Roy & Grace Tanner. There was a large range of stalls for the large crowds to visit, a lot with a wool theme, along with food and crafts stalls. The Wool Fair committee, after their wrap up next week, will be starting to work on the program for the 9th Wool Fair on Monday 29th May 2017.